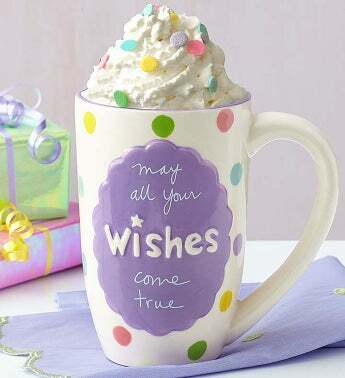 EXCLUSIVE “May all your wishes come true.” That’s the sweet sentiment you’ll find our exclusive collectible mug. 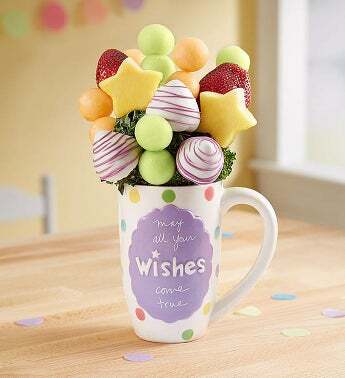 Designed by inspirational artist Sandra Magsamen, it’s filled with a flavorful mix of mini pineapple stars, dipped & drizzled strawberries and the juiciest melon wedges. 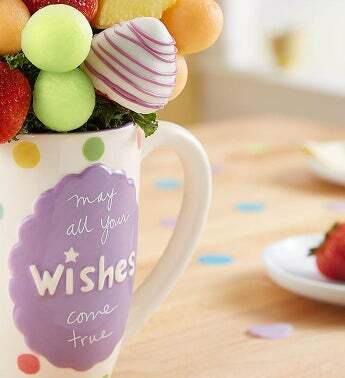 If they need a little extra inspiration (and deliciousness) in their life, this is just the gift to share! 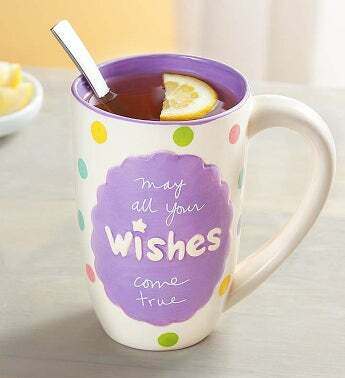 Arrives in a keepsake ceramic mug with lettuce & kale base; measures 5"